Habitat: Dry, sandy heaths, arable and waste ground. Often coastal, less frequent in damper western areas. 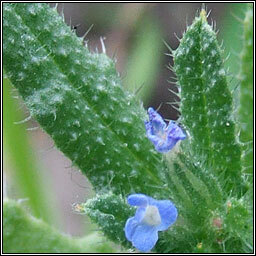 An erect, bristly plant, the small bright-blue flowers with leaf-like bracts. 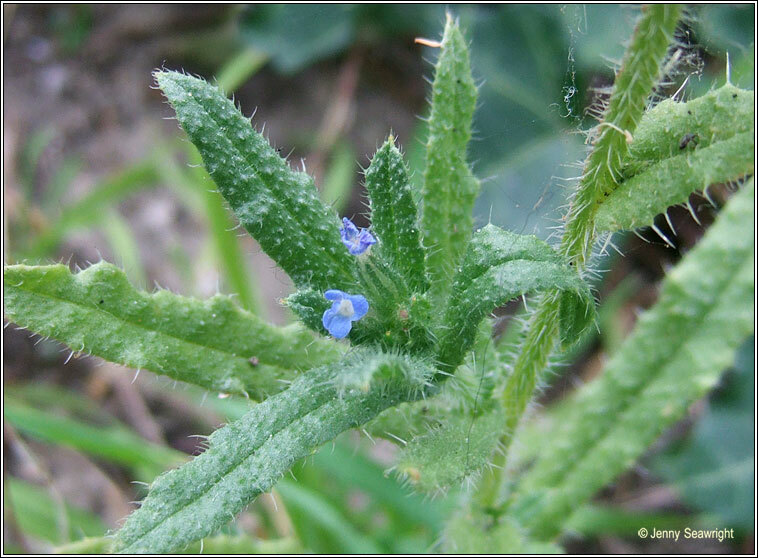 Wavy-edged, toothed, linear-lanceolate leaves, the upper leaves half-clasping the stems. Height 15-40cm.